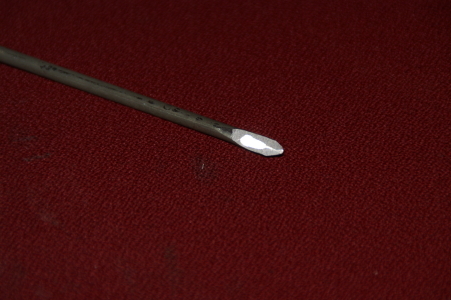 Here, I took a long, large flat head screw driver (it is bigger than it looks in the photos), and ground it down to make half of the Phillips cross. It actually worked better than a Phillips — it didn’t strip the screws nearly as easily. Once the screws were removed, the fix was pretty quick. Poking around with a scope, I found that the power switch was noisy — the voltage in was a nice 120V wave, but the voltage out was noisy and unclean. Shorting the power switch with a screw driver fixed the problem. The power switch also formed a physical seal for the enclosure, so I didn’t want to use a different form factor. As a result, I simply soldered a wire across the switch, and the speakers worked fine. Now, it was time to examine the speakers. On the outside, they say QIC 120 watts. As is typical in the audio world, the inside told a different story. 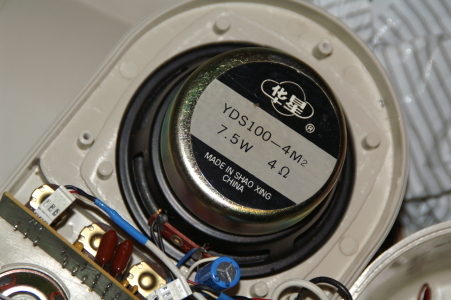 The woofer drivers were rated at 7.5W each. The tweeters were rated at 2W. The maximum safe output RMS power was 19W. The amplifiers used the SGS-Thomson TDA2030A, which, without additional drivers, are rated at 18W output power (for a total of 36W on both channels). The 120W could, most likely, not even be reached as peak power. The TDA2030A current limited to 3.5A, which, with the 4 ohm drivers, would only give 98W peak output power. There may be some mode in which the power is shared by the tweeter and woofer, or where the speaker is not 4 ohms (speaker impedance is very frequency-dependent), but quite frankly, I think that the 120W rating was just fraudulently made up for marketing reasons. 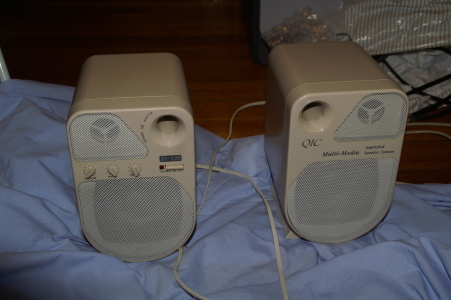 I ought to check the voltage output by the power supply (surprisingly, a linear power supply consisting of a transformer, diodes, and capacitors — I would have expected switching to be cheaper) to get another maximum, but the speakers are already packed up for shipping to Rochester (the TDA2030A is damaged by more than 22V, so that gives an absolute upper bound of power of 22V*3.5A*2 channels of 154 watts, but for 120W to be reached in practice would require a minor miracle). Copyright © Piotr Mitros. 2007. All rights reserved (although additional permissions are generally granted when requested by e-mail). Pages generated and images scaled by a simple shell script .